A professor at San Francisco State University recently developed an econometric model to study how smart growth affects travel behavior. His finding: quite a bit. Dr. Sudip Chattopadhyay measured the impact of certain smart growth indicators on 18 metro areas across the U.S. He found that a 10 percent increase in smart growth amenities — measured by residential and job density and per-capita transit spending — leads to a 20 percent reduction in miles driven. The study, published in the B.E. Journal of Economic Analysis and Policy, set out to determine if smart growth or taxation strategies like increasing the fuel tax has a bigger impact on driving behavior. His finding was that smart growth produced a bigger return: 18 percent reduction for taxing versus 20 percent for smart growth. Further, the study found that if mid-sized California cities like Modesto, Fresno and Bakersfield had similar density and transit amenities as some of the state’s larger cities — the Bay Area and Los Angeles — they could expect to see a 55 percent reduction in per household driving activity, or about 5,238 miles per year. Chattopadhyay said his findings lend support to California’s State Bill 375 and Assembly Bill 32. Both laws promote efficient land use to help curb global warming. The study did not examine other benefits of smart growth, such as better health and environmental outcomes. This study lends support to prioritizing funding transit infrastructure rather than simply making driving and parking more frustrating. Of course, one option (transit) does not preclude the other (reducing or pricing parking). But I have found that in San Francisco the attitude of some transit activists is to try to make car driving as painful and frustrating as possible. I have always argued that funding and building our transit system in San Francisco to function more like those of Paris, London, Munich, etc. would get more people out of their cars more often, than higher parking fees or removal of parking spots would. making driving (& parking) painful and frustrated makes drivers angry, hurt, and frustrated. As anyone who’s tried to train a dog knows, this goes nowhere good, and fast. Make the options you want people to choose easy, pain-free, and rewarding, and you’re more likely to get more people to do what you want. Trying to make taking transit as comfortable as driving one’s own car is the challenge. The automakers have spent 100+ years making cars more comfortable and easier to drive, beginning with the electric starter and coming forward to today’s air-conditioned stereo equipped vehicles. To make transit more attractive: Provide seats designed for comfort, not vandal resistance. Round up all the winos, weirdos and hooligans so a bus ride isn’t like a trip through the nether regions. Run buses and trains often; any headway longer than 15 minutes doesn’t set well with us impatient Americans. Pay for these improvements with higher fuel taxes (good luck getting those passed!) Eventually, the price of gasoline with get to the point that only high-ranking government officials, big business tycoons and folks who’ve hit the jackpot in some form of entertainment can afford to travel by motorcar or SUV; for most citizens, any kind of transit, no matter how decrepit or unreliable, will be all they have, other than feet or bicycles. 1) looking simply at per capita vehicle miles traveled (VMT) is too simplistic and does not account for the “quality” of miles traveled. One major goal in reducing VMT is to reduce pollutants. Exhaust filled avenues are bad for the environment, our health AND bad for promoting pedestrian/bike use. Reducing VMT is not a good thing IF in doing so, we INCREASE pollutants because of congestion, constant stopping/starting, vulturing for parking, etc. As a cyclist, I enjoy freer flowing streets with minimal stopping/starting, especially when I get caught behind a hoopty. 2) dilettantes will glom onto the “10% increase for a 20% decrease” without understanding the caveats. A 10% increase in a transit heavy place like NYC will not yield the same benefits as a 10% increase in a city with no infrastructure. This paper shares a common flaw with all papers that claim that “smart growth” achieves some kind of spectacular results. They are all cross-sectional analyses, rather than time series analyses of a range of city types enacting “smart growth” type policies. The conclusions drawn, rely on population movements into areas earmarked for “intensification” being absolutely costless for those moving, in terms of real-estate market response to the heightened demand for the location. The reality is that most people in most cities most of the time, will be “priced out” of efficient locations before any more than a very small percentage of relocations of households to those locations have occurred. This is the simple explanation for why normal real estate markets do not already of their own accord “intensify” population at obviously efficient locations. There is savings of transport costs to be achieved, savings of time, gaining of local amenity – so why indeed, does not a large percentage of the population live there? Same reason a large percentage of the population does not eat caviar. In reality, it has been observed in papers by Anthony Downs, Kara Kockelman, and the authors of the “Costs of Sprawl 2000” paper, that it is never cheaper for a household to pay more for a central “location”, than to pay more for “travel”. And the more expensive urban land is in a city (median housing prices are a good proxy), the worse this effect gets; that is, the further away households buying into the market for the first time, MUST locate to qualify for a mortgage loan at all. “Drive to qualify” is the term used by the real estate profession, and it is not rocket science. Statistical data on “housing plus transport costs” can significantly misrepresent this “locational choice” paradigm by utilizing data for CURRENTLY EXISTING housing expenses; including households who “bought in” to the area decades ago at low prices and/or households whose mortgages are paid off already or nearly so. Of course these households will be over-represented at the older, more efficient locations, and heavily-mortgaged recent buyers will be over-represented in the fringe and exurban locations, which is the only places they could afford to buy anyway. It is frequently asserted that density can be substituted for space, to remedy the higher cost of land at the efficient locations. This is most true in the cities where housing costs are LOWEST in the first place, and less and less true under conditions of higher housing costs (median housing price). One will find that in an affordable city with median multiples of around 3, there is a genuine choice between a fringe McMansion and a CBD Condo; both will be affordable; perhaps in the region of $150,000 (US). But in a city where median multiples are very elevated, like Vancouver, the CBD Condo is typically far more unaffordable in price than a fringe McMansion; the fringe McMansion might be $500,000 and the CBD Condo $1,000,000. This is because land rent curves always slope up from fringe to centre of a city, and the shape of the curve is very nearly “maintained” in the event that the price of urban land is forced upwards by distortions in “supply”. The reality is that cities like Vancouver are merely the same phenomenon as “exclusionary” suburbs, elevated to the spatial scale of the entire city. We do not accept that “exclusionary suburbs” are more efficient because the incomes of their residents are higher, there are more people with university degrees, and so on – so why do the advocates of “smart growth” get away with these claims at the scale of the “city”? Another phenomenon worth observing is that average trip-to-work TIMES comparative data diverge widely from “VMT” and “energy consumption” data. The former is a far better indicator of urban EFFICIENCY than the latter two. The latter two are strongly affected by discretionary income, which is constrained by higher housing costs. The UK’s cities and many European cities, are perfect examples. They tend to have higher average trip-to-work times than US cities, even though in most cases they have lower VMT and lower energy consumption. The difference will certainly be explained by the discretionary incomes remaining after housing costs and taxes on energy consumption etc are deducted; not by “the efficiency of urban form” per se. The higher average trip-to-work times tend to expose a LOWER level of efficiency of the urban system; the reduced VMT and energy consumption represents very severe sacrifices made at the level of the household within a LESS efficient urban system. Most likely discretionary expenditure on a whole range of activities, will be lower. But it gets worse. Marriage and birth rates are also lower in higher-housing-cost cities. This SHOULD represent an advantage as regards not just energy consumption and VMT, but average trip-to-work times. This is because a household with 2 income earners, and children, has to compromise on “location choice”, taking into account 2 job locations, and the location of one or more schools. So, do we find the data reflecting that low-housing-cost cities (all of which are also low density) have higher average trip-to-work times? NO. We don’t. So the bad news for the “smart growth” advocates is, that it is game, set, and match to the relatively free-market, maximum-choice, low-land-cost, low housing cost, low density cities – in terms of efficiency of a complete urban SYSTEM. Peter Gordon et al have been right for 30 years, and the data only continues to support them. Look at Pasadena. Virtually all new development has been high density “smart growth”. Has driving decreased? Perhaps for a few people, but not on the whole. Citywide, traffic is way up. I mean, WAY up. Especially around old town, where the bulk of development took place… despite three Gold Line stops in the area. Focus on mobility without increasing population density. I know objective investigation must come before claims of truth, but in this case, one would think, common sense may stand a chance. A simple explanation, sure. Certainly not a correct one. Markets don’t intensify at ‘obviously efficient locations’ because of land use restrictions. Just in the metro area I live in I can think of the 3 specific locations where developers specifically asked municipalities to grant exceptions to their local land use laws – only to meet vocal opposition from a well organized, anti-smart growth lobby. 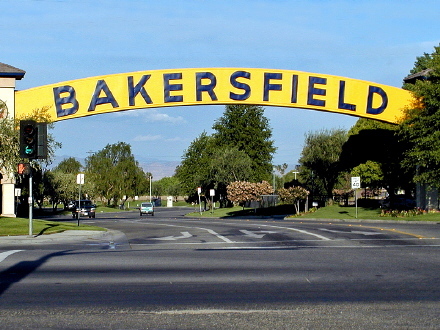 “If Bakersfield, California enjoyed the same density and transit amenities as the San Francisco Bay Area, households would drive 55 percent less, according to a recent study.” Uh huh. The average temperature in San Francisco in the month of July is 67°f, while the average temperature in Bakersfield in the same month is 97°f. Only the die-hard, have-someting-to-prove riders are going to subject themselves to the daily routine of reflected heat off of asphalt under those conditions. city types enacting “smart growth” type policies. percentage of the population does not eat caviar. the first time, MUST locate to qualify for a mortgage loan at all. price of urban land is forced upwards by distortions in “supply”. growth” get away with these claims at the scale of the “city”? density) have higher average trip-to-work times? NO. We don’t. right for 30 years, and the data only continues to support them. increases faster than the “housing” on it is intensified. towards “intensification” and zoning is done accordingly. Sorry, I reposted the entire earlier comment by mistake along with my response to Jim. Dear Moderator: The second comment that begins “Jim, I know this is what a lot of people believe”, is the one I want to remain posted here.